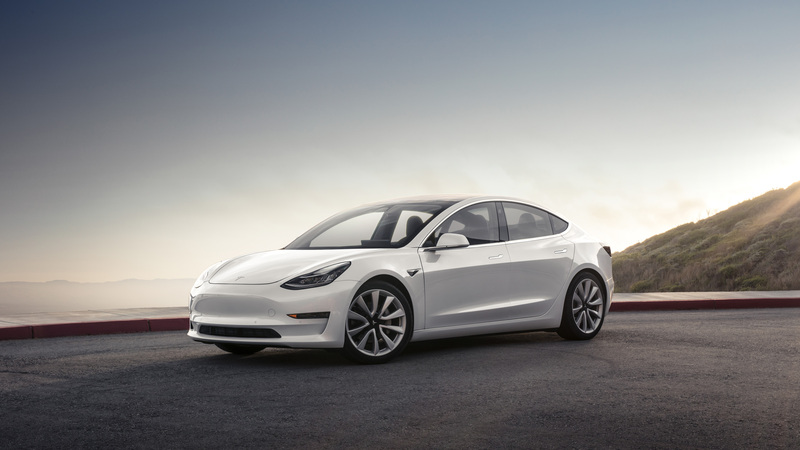 The pace is much slower than initially promised, but Tesla has started deliveries of its Model 3. The first 30 went to employees in a ceremony in August. By the end of October only 220 deliveries had been logged. Tesla says production bottlenecks have slowed things down and now is predicting a build rate of 5,000 per week by the end of the first quarter of 2018. 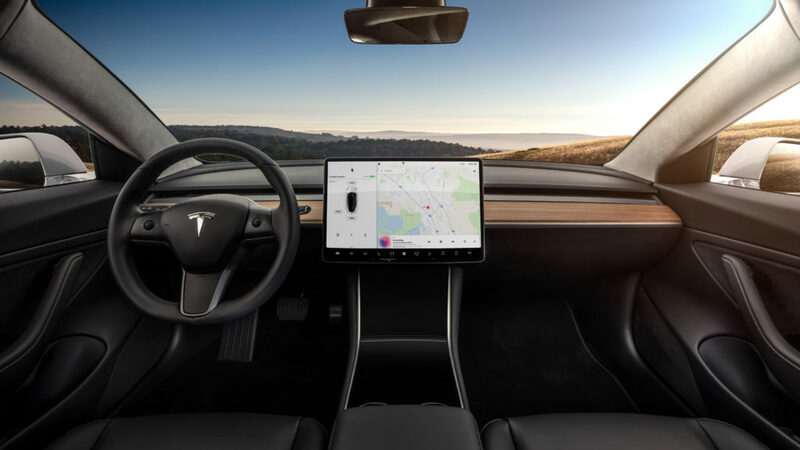 Right now, it appears that only Long Range models, with 310 miles of range per charge, are being shipped. Tesla initially had said the base model, with 220 miles of range, would start shipping by the end of 2017, but it now appears that’s been pushed back to sometime in 2018. These specs are for the single motor, rear-wheel drive Model 3. A dual-motor version comes later and is expected to have a bit more range and slightly higher performance numbers. Price: Base Model 3, $35,000. More than $50,000 with every option. Range: 220 miles with base battery, 310 miles with a $9,000 Long Range upgrade. The federal EPA recently posted the official fuel efficiency numbers for the Long Range version, in miles-per-gallon equivalency: City, 131 mpg-e; highway, 120 mpg-e; combined, 126 mpg-e; energy consumption, 27 kWh per 100 miles. Performance: Base, 0-60 in 5.6 seconds, 130 mph top speed; Long Range model, 0-60 in 5.1 seconds, 140 mpg top speed. Charging rates: Base, 32 miles of range per hour on 32 amp Level 2 home charger; 130 miles per half-hour on a Tesla Supercharger; Long Range, 37 miles per hour on 40-amp Level 2, 170 miles per half-hour on Supercharger. Warranty: Vehicle; 4 year, 50,000 mile limited warranty; battery packs, 8 years, 100,000 miles on Base, 8 years, 120,000 miles on Long Range. Delivery begins: Long-Range Model 3, now; Base model, 2018. All deliveries will begin with a trickle and ramp up as production capabilities improve. First Model 3 Handovers from Tesla, Inc on Vimeo. Standard Model 3 features include: Black exterior paint; 18-inch “Areo” wheels and all-season tires; 15-inch touchscreen display; dual zone climate control system; cloth seating; folding rear seats with 60/40 split; internet streaming AM/FM radio, open storage center console with dual USB ports; 12-volt power outlet; keyless entry and remote climate control with Tesla app; WiFi and LTE connectivity; voice activated controls; Bluetooth phone calling and media streaming; backup camera; auto-dimming rear view mirror; power adjustable side mirrors; one-touch power windows; LED exterior lighting; side curtain airbags; collision avoidance and automatic emergency braking systems utilizing eight cameras, forward-looking radar and a dozen ultrasonic sensors; double wishbone, virtual steer axis front suspension with coil over twin-tube shock absorbers and stabilizer bar; independent multi-link rear suspension with twin-tube shock absorbers and stabilizer bar; variable ratio, speed sensitive electronic power steering; four wheel anti-lock disc brakes with electronic brake force distribution; aluminum and steel body. Colors: $1,000 each. Midnight Silver Metallic, Deep Blue Metallic; Silver Metallic, Pearl White Multi-Coat, Red Multi-Coat. Wheels and tires: 19-inch “Sport” wheels with all-season tires, $1,500. Premium package: $5,000. Includes heated seating and upgraded cabin materials throughout, including open pore wood decor; 12-way, power adjustable front seats; power adjustable steering column; auto-dimming, power-folding, heated side mirrors, with custom driver profiles; premium audio system; tinted glass roof with ultraviolet and infrared protection; covered center console storage with docking for two smart phones; LED fog lamps. Enhanced Autopilot: $5,000. Includes automated lane keeping, speed matching, lane changing and freeway transitioning, freeway exit and destination parking features; additional features available via future software updates.